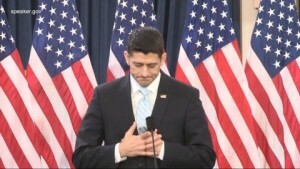 Speaker Paul Ryan Shocker in Speech to Interns – An Apology! “There was a time when I would talk about a difference between ‘makers’ and ‘takers’ in our country, referring to people who accepted government benefits. But as I spent more time listening, and really learning the root causes of poverty, I realized I was wrong. ‘Takers’ wasn’t how to refer to a single mom stuck in a poverty trap, just trying to take care of her family. Most people don’t want to be dependent. And to label a whole group of Americans that way was wrong. I shouldn’t castigate a large group of Americans to make a point. These were not words one would expect to come from any Republican’s mouth let alone Speaker of the House Paul Ryan. He admitted his thinking was wrong in the past and says he has changed it. 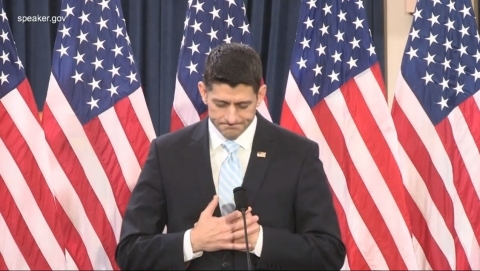 Ryan said prior to the speech and during it that his point here was to bring a sense of civility back to the political arena, undoubtedly taking a swipe at not only Donald Trump but the Tea Party and other extreme right-wingers. The mind tends to be stirred at his political ambitions and whether this just may be a foreshadowing of a contested GOP convention, though that is likely a long-shot. No matter the reason for his change in thinking, it is refreshing to see it happen – to see compassion shown and ill-placed judgment discarded.